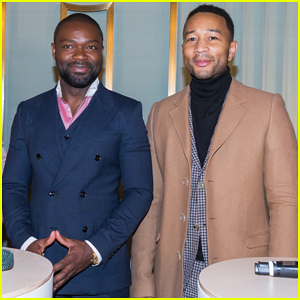 John Legend & David Oyelowo Team Up for Nobel Peace Prize Concert 2017! David Oyelowo flashes a smile while posing alongside John Legend at the press conference ahead of the 2017 Nobel Peace Prize Concert held at the Norwegian Nobel Institute on Monday (December 11) in Oslo, Norway. The 41-year-old actor and the 38-year-old singer were joined at the event by Lukas Graham, Zara Larsson and Sigrid. The Nobel Peace Prize Concert is a musical tribute, held annually December 11th every year since 1994 to honor the year’s Nobel Peace Prize Laureate. Tonight’s concert will be hosted by David and will include performances by John, Zara, Sigrid, as well as Matoma and Le Petit Cirque. Kelsea Ballerini took the stage tonight for a performance of her hit song “Peter Pan” at the 2017 Grammy Awards held at the Staples Center on Sunday (February 12) in Los Angeles. After the 23-year-old country crooner sang her opening, Lukas Graham surprised the crowd by joining her on stage. Watch the country/pop collab below! Ariana Grande had a very special guest pay her a visit at the latest 2016 Jingle Ball stop! The 23-year-old singer’s Hairspray Live! co-star Jennifer Hudson hugged her backstage at Allstate Arena on Wednesday (December 14) in Rosemont, Ill.
“”my heartttttt @iamjhud !!! i love you so much i can’t put it into words. thank you for coming to see me tonight !!!! you make me so happy. i love you i love you i love you !” Ari captioned a cute Instagram photo of the two. Also performing that night were Hailee Steinfeld, Backstreet Boys, Ellie Goulding, Lukas Graham, Tove Lo, and Daya. 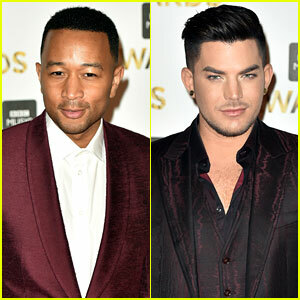 John Legend & Adam Lambert Look Sharp in Suits at BBC Music Awards! John Legend and Adam Lambert both looked so sharp in their suits while hitting the red carpet at the 2016 BBC Music Awards on Monday night (December 12) at the Excel Centre in London, England. Other stars in attendance included The 1975, Zara Larsson, Emeli Sande, Lukas Graham, and Pixie Lott. Adele picked up both Album of the Year and Song of the Year, but she was not in attendance to accept the awards. It was just announced that John will be headlining the halftime show at the NBA All-Star Game next year! VIDEO: DNCE Cover Kanye West During Z100's Jingle Ball 2016 - Watch! 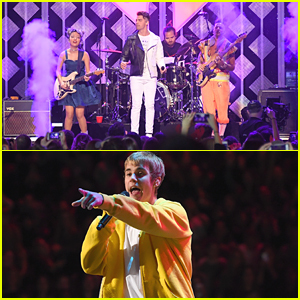 DNCE and Justin Bieber just about killed the stage at Z100′s 2016 Jingle Ball at Madison Square Garden in New York City on Friday night (December 9). Niall Horan, Charlie Puth and even Lukas Graham joined them on stage. During their set, DNCE also covered one of Kanye West‘s songs, “Fade”. You can get a little snippet below!